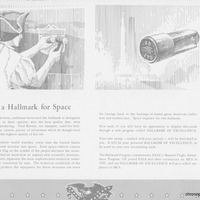 To assure proper checks and approvals by all appropriate individuals, small custom inked stamps, called hallmarks, were used by Apollo Project workers to ensure that checks were performed, and each worker who conducted one approved of the quality or conformance of the inspected item. These hallmarks are visible on equipment and reports of that era. Original certificate: Private Collection of Dr. Calvin D. Fowler. Digital reproduction of original certificate. 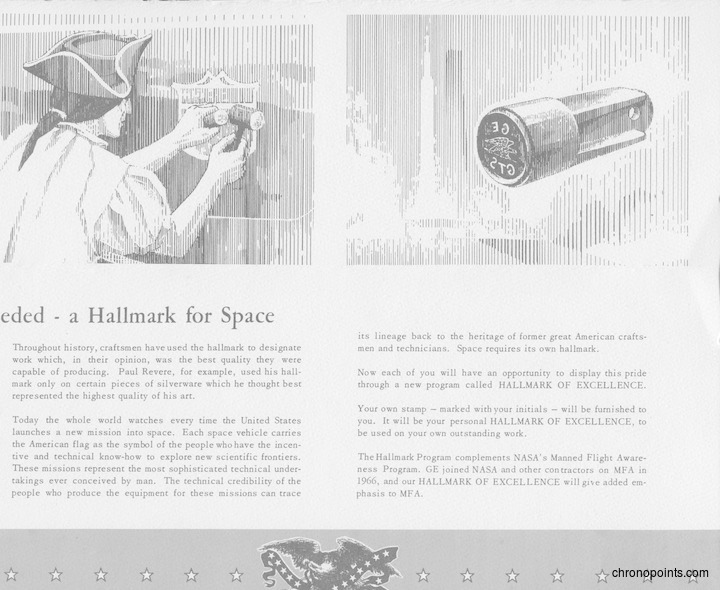 “A Hallmark for Space.” RICHES of Central Florida accessed April 22, 2019, https://richesmi.cah.ucf.edu/omeka/items/show/4982.